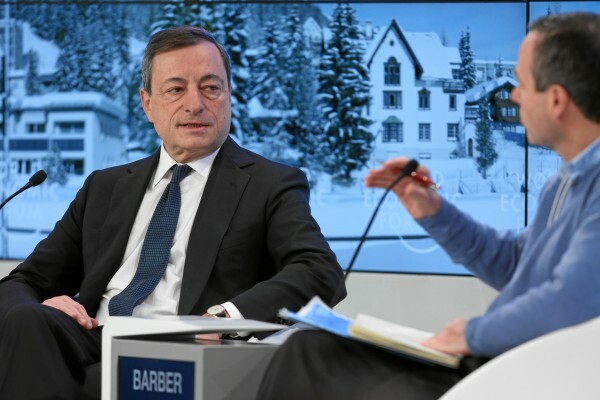 European Central Bank (ECB) chief Mario Draghi told the 25 members of the governing council at a policy meeting in Vienna on Thursday that the quantitative easing stimulus program is slowly working to pull the 19-member eurozone countries out of recession and stagnation. “We have to see the full impact of the measures we decided in March. We have to focus on implementation,” he said after the policy meeting. Last March, the ECB expanded its bond-buying stimulus program beyond September 2016. The quantitative easing plan now involves the ECB buying back 80 billion euros ($92 billion) every month until the program terminates in March 2017 – a total stimulus of over 1.4 trillion euros. It was also decided then to lower the interest rate on the main refinancing operations of the Eurosystem by 5 basis points to 0.00 per cent and the rate on the marginal lending facility by 5 basis points to 0.25 per cent. The deposit interest rate was lowered by 10 basis points from -0.30 to -0.40 per cent. It remained the same on Thursday. This would mean that banks that hold money overnight at the central bank would have to pay for the service; it would, therefore, be in their benefit to encourage lending. The ECB will as of June 8 start to buy back bonds and corporate debt from companies, in addition to financial institutions. But the Eurozone economies still have a way to go. The Eurozone inflation rate hovers around 0.2 per cent – up from 0.1 earlier in the year – which is far below the ECB’s two per cent target for healthy economies. According to data from the European Statistics bureau Eurostat, inflation actually fell to -0.2 per cent year on year in February. It had risen slightly to 0.3 per cent in January. Previous efforts by the ECB – including a pledge by its head Mario Draghi to increase quantitative easing and extend the stimulus program to March 2017 – have failed to significantly boost Europe’s economy. Markets welcomed the March 2017 extension, saying inflation and GDP growth won’t pick up quickly enough by next year. Although European markets have performed better in the past three months, low energy and oil prices have led to a shortfall in cash. Deflation and rampant unemployment in the Eurozone, coupled with dropping manufacturing data signal that the Eurozone is not in the best of health.